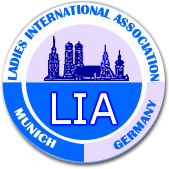 If you would like to learn more about LIA-Munich or if you would be interested in joining us as a guest at one of our General Meetings please let us know. You can contact us by completing and submitting the form below. NOTE: The information you provide here WILL NOT be stored within our system. We treat all provided information confidentially.